Taken two days before the sixth debate with Douglas at Quincy Ill. This photograph was taken on the very day Lincoln delivered his Cooper Union address in New York City. After his nomination Lincoln was asked by Hesler to sit for a portrait. 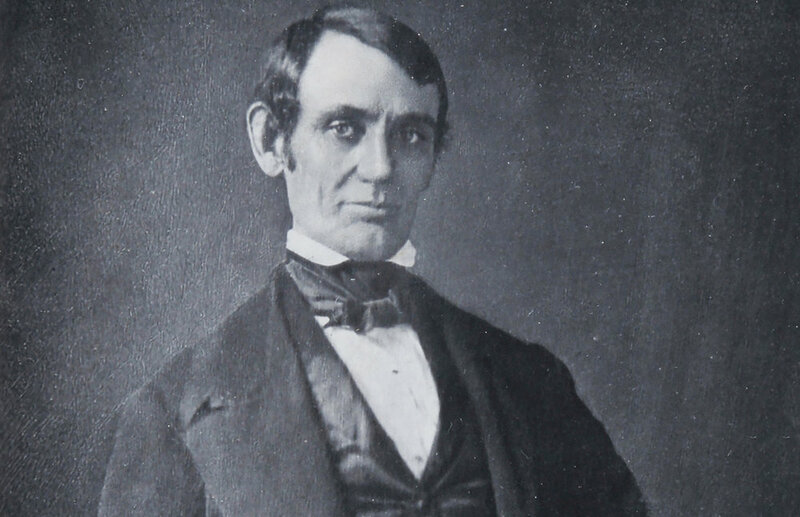 Lincoln replied that he intended to stay near home during the campaign and could not come to Chicago, but if Hesler would visit Springfield, he would be willing to pose and would even get dressed up. This is a retouched image taken by C.S. German on January 13 or 20, as Lincoln signed a print on January 26th. This is one of several poses taken by Mathew BB Brady and his assistant Alexander Gardner on February 23, 1861. It is the first accurate portrait that has been published since he began to grow a beard. Lincoln inscribed this portrait on October 3, 1861 ― For Mrs. Lucy G. Speed from whose pious hands I accepted the present of an Oxford Bible. It is said that Lincoln was Alexander Gardner’s first client when the pho-tographer opened his studio in Washington. This is one of several photo-graphs taken on August 9, 1863. This was perhaps the most elaborate sitting Lincoln granted to Brady. He took his son Tad with him and soon the photograph of the two of them together was soon in many thousand homes. National Inauguration Ball invitation to Mrs. M. M. Grannis. On March 4, Linclon was inaugurated for the second time. Two days later the photographer Henry F. Warren from Waltham Mass., came to the White House and was allowed to take this portrait. President Lincoln and his son Thaddeus.